Residents in the Kumasi metropolis have expressed their displeasure at the extent of congestion resulting in human and vehicular traffic in the metropolis. They are also not happy with the thick traffic at the Kejetia lorry terminal and the central business district, Adum. Most listeners who called into Daybreak Kapital talk show programme this morning called on the authorities to take the necessary steps to decongest the city! to ensure free flow of both vehicular and human traffic. 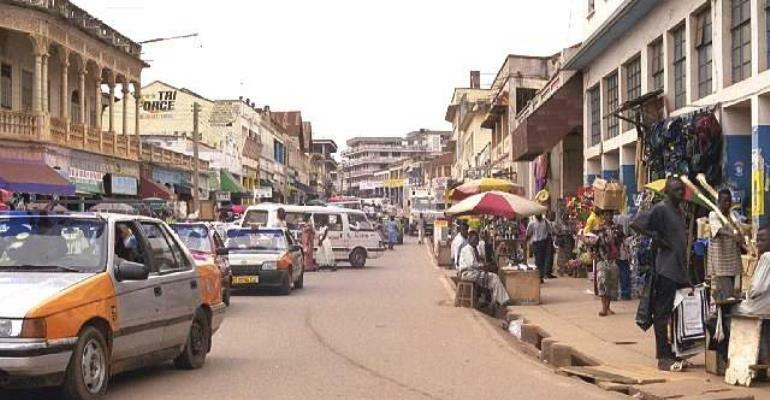 Some of the residents also urged the Kumasi metropolitan Assembly KMA to put the race course which is supposed to be a satellite market into better shape to attract those who can not get space to do genuine business at the Kejetia area. Explaining the reasons for their continuous presence at the unauthorized places in the city, some of the hawkers admitted that they are currently trading at unauthorized places but explained that they have no where else to go. They also complained about extortion and sexual harassment from some of the task force members. Responding to the issues raised the head of the Freko Limited; managers of the Kejetia terminal, Task Force Mr. Seth Ofori indicated that his outfit will ensure that the appropriate punishment is meted out to any task force member who misconducts himself. According to him, the task force is doing all that it can to rid the terminal off hawkers and others who obstruct pedestrians. He called on all to help resolve the problem to make the terminal and the whole city of Kumasi easily accessible. Meanwhile the Ashanti Regional Minister S.K Boafo has promised to evacuate the hawkers and traders to help ease traffic.